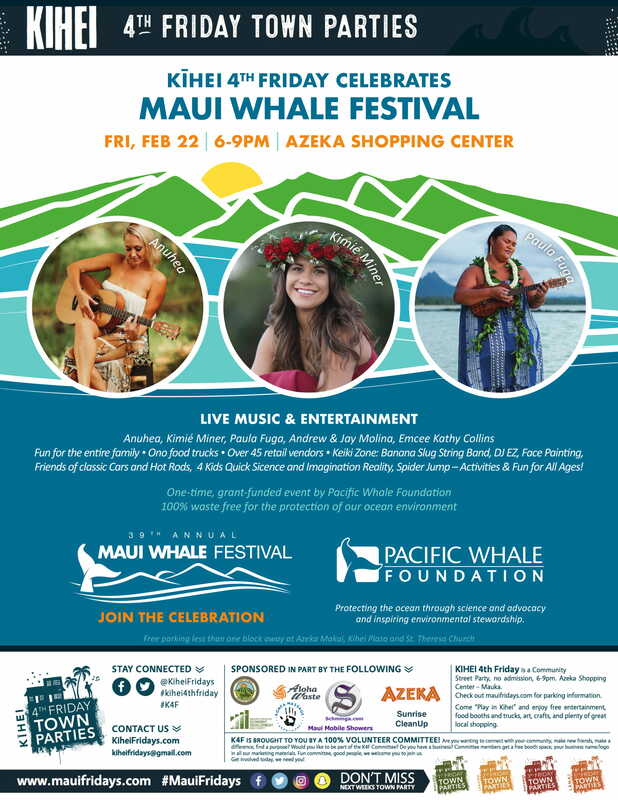 Kīhei’s 4th Friday Town Party will host the Maui Whale Festival on Friday, Feb. 22, 2019 from 6 to 9 p.m. at the Azeka Shopping Center Mauka. 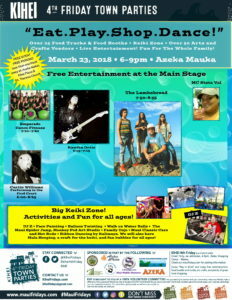 The Maui Whale Festival will be held at the Kihei 4th Friday Town Party on Friday, Feb. 22, 2019 at the Azeka Shopping Center. 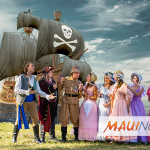 The event will feature live performances from Anuhea, Paula Fuga, Kimie Miner, and Manutea Nui E.
Free parking will be available less than one block away at Azeka Makai, Kīhei Plaza and St. Theresa Church. A large variety of food trucks and food booths will provide meals for purchase.